Thanks for coming along to Taunton Vegan Fair 2017! At Wilton Church Hall, Fons George, Taunton TA1 3JT. Close to town centre. There were over twenty stalls from chocolate, cake and plant-based cheese to vegan info and animal rescue. Plus three caterers, a cafe area and talks upstairs. Free goody bags for the first 50 visitors to the fair and vegan afternoon cream teas from 2pm. Everyone was welcome whether vegan, plant-based or new to it all and want to find out more. All stalls and food were wheelchair-accessible, unfortunately the talks upstairs are not. Join us on the Facebook event page. There was be a cafe area inside with two hot food caterers, plus vegan cream teas and drinks, and a street food van outside the venue. Those Vegan Pizza Guys will have freshly made hand stretched, stone-baked vegan pizza! Fairfoods will have red wine and mushroom shep’s pie with gravy; chick pea and veg korma w/ spice-crusted potatoes, basmati rice and salad; sausage rolls and creamy cashew roast. Vegan Cuisine will have vegan cream teas: large choice of tea, coffee and milk alternatives; scones with cream and jam; and festive cakes and cookies. Pyramid Catering will be providing the vegan street food outside. They will have the Pyramid breakfast in a pitta, chilli burritos, burgers, chilli cheeze dogs and regular dogs. Mostly organic. Cookery demonstration with Lee Watson, author of Peace and Parsnips. Lee is demonstrating Spiced Cauliflower Steaks with Spinach Puree & Pickled Cranberries and Rich Chocolate Mousse with Drunken Cherries. Lee will also have signed copies of his book on sale and has lots of recipes on his beachhousekitchen blog. With Dr Toni Shephard, Executive Director of Animal Equality. At the end of March 2017 Animal Equality’s investigation in Dorset hit the headlines. Come and find out more. Rob will outline tips to start you on your vegan journey including what to buy, where to eat, and how to deal with family and friends. Rob will also answer any questions you have at the end. Help! What do I get vegans for Christmas?! Fear not with these healthy (and not so healthy) edible vegan gift ideas to make for that special vegan, or non-vegan, in your life. There will be samples to try and, for those less comfortable in the kitchen, there will be general tips on buying presents. 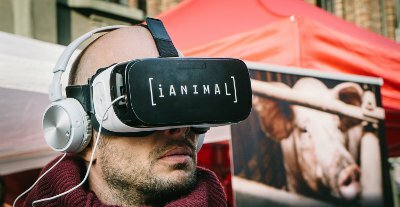 A farmed animal advocacy organisation dedicated to defending all animals through public education, campaigns and investigations.Animal Equality will be featuring the iAnimal experience at the fair, bring your meat-eating friends and find out how the world of virtual reality has taken animal protection campaigning to a new level. Animal Aid campaigns against all animal abuse, and promotes a cruelty-free lifestyle. There will be Animal Aid literature available including free recipes. With a variety of different tasters to sample throughout the day. Come at 2.30pm if you’d like to try some hot tofurkey roast! With NEW merchandise, including totes bags, t-shirts and stickers. Animal Justice Project campaign materials will also be displayed and visitors will be able to sign petitions and sign up to volunteer. BAS will be handing out leaflets and showing slide shows of their work Bearing Witness to the animals. They may have some vegan cakes. They will have t-shirts, buttons and hopefully mugs for sale. 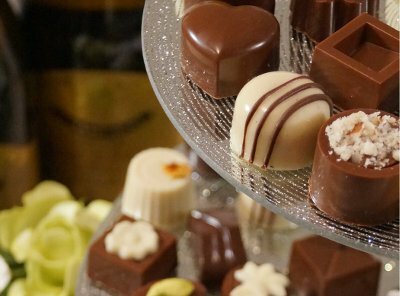 Cocoafeliz hand-make organic milky, white and dark vegan chocolates. Create your own distinctive bar from their range of mini-bars, select your favourite truffles or choose from their fun chocolate characters. Specialist in organic and biodynamic vegan wines. Vegan wedding bars, corporate events, celebratory events, vegan festival bars. At Taunton, we will be serving Xmas mulled wine and a selection of other wines for Xmas! Sustainable harvested seaweeds from the beautiful Devon coast. Consumers can introduce the blend of seaweeds into a recipe or simply shake onto their meals. Adding flavour, texture, colour and goodness. Low salt alternatives, economic and time saving. EFFA campaign in Exeter and beyond on animal issues. They are happy to offer help and guidance to people seeking to go vegan, and also organise a varied calendar of social events. Fleecehaven will be selling a range of ‘sheepy’ merchandise to raise much needed funds for our small, family run charity. We will also be promoting our ‘Adopt-a-Sheep’ scheme – the perfect vegan friendly Christmas gift which really does make a difference. A variety of delicious vegan cheese including cultured sharp cheddar, blue cheese and chevre. Also melting brie, camembert and mozzarella. Pasties and samosas also available.. and fudge! Kebele is a vegan community co-operative in Bristol. Famous for its Sunday evening meals run by volunteers. We sell books, stickers, CD’s, and zines as a fundraiser. Natural health and beauty products based on the purest aloe vera including vegan supplements. 100% natural, hand crafted, vegan soaps, cosmetics and candles. All made to support our rescue animals. Vegan celebration cakes, based in Taunton, Somerset. 15% discount off all celebration cake orders for 2018 booked and deposit paid on day of the fair. Unique super-nutritious seed butters combined with ingredients including raw cacao, raw cacao butter, turmeric, ginger, cinnamon and vanilla bean, plus products created with the butters. Standing up for badgers, conservation and science. Using non-violent direct action to protect local wildlife. Information stall on illegal hunting, the badger cull and other forms of wildlife persecution. Selling skin care made in the UK and is completely vegan. WYV design and print their own range of vegan and animal rights t-shirts, sweatshirts and hoodies. Hosted by Fairfoods and organised voluntarily by local vegans. Big thanks to Animal Equality and Animal Aid for sponsoring the fair. Everything at the fair will be vegan. If you would like to book a stall or have another enquiry, email us or use this contact form.